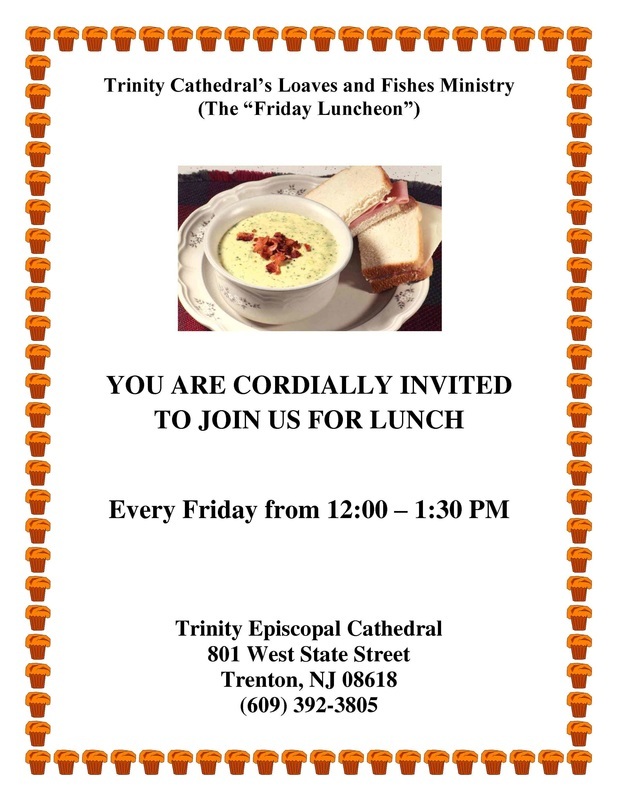 You are cordially invited to join us for our weekly "Friday Community Luncheon" at Trinity Cathedral! Each Friday, from 12:00 to 1:30 pm, parishioners and volunteers serve hot meals and soups, various vegetable-based side dishes, baked goods, beverages and dessert. All are welcome to come and enjoy lunch (please enter through the red doors on Overbrook Avenue.) If you would like to volunteer to prepare meals, sides or dessert, or to help serve our guests, please call the Cathedral office to find out how you can participate.